A costumed pose for the Kimberly Diamond Jubilee celebration in 1985. 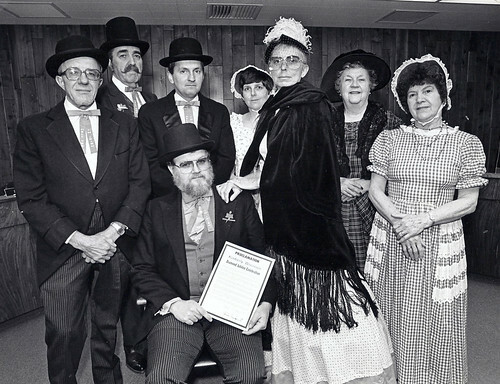 A copy of the official Proclamation for the Kimberly Diamond Jubilee Celebration dated February 7, 1985. There was no information included with this photograph in our collection. Anyone know what the date might have been?